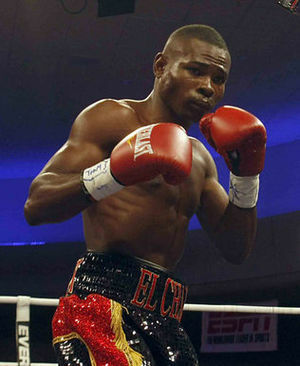 The man regarded by many as boxing’s most boring fighter, Guillermo Rigondeaux (14-0, 9 KO’s), fought his last boxing event under Top Rank Promotions. He make quick work of the unheralded Sod Looknongyantoy (63-3-1, 27 KO’s), at the Champions of Gold event in Macau, China on July 19, 2014 at the Cotai arena. The Cuban gold medalist retained his WBO/WBA super bantamweight boxing titles and became a free agent. Although he is considered to be one of the most boring fighters on planet Earth, Rigondeaux is one of the best boxers in the world and there is probably no one right now who can defeat him at the bantamweight division. Although the 33 year old Cuban is considered by many to be one of the greatest pure boxers of all time (including Freddie Roach), HBO boxing has been very disappointed in the lack of action that his fights produce. Sure, he dominated Nonito Donaire a year ago, but his style is probably more frustrating than effective. It’s unfortunate because the man has tremendous offence to go with his excellent defense, yet he showcases only his defense. We would like to wish Rigo the best of luck in moving onto a promoter who will sign him and pay him more money for his bouts. We would just implore him to accept pro boxing as a sport that’s a business and to step up his offensive skills in the ring if he would like to reach the status of Floyd Mayweather or Manny Pacquiao someday.